Insert a stick into the centre of each apple and set aside. Place 1 cup (250ml) corn syrup, the butter and sugar in a medium saucepan over medium heat and stir until well combined. Bring to the boil and cook for 8–10 minutes (do not stir) or until temperature reaches 140°C (275°F) on a sugar thermometer. Remove from the heat and stir in the remaining corn syrup and vanilla. 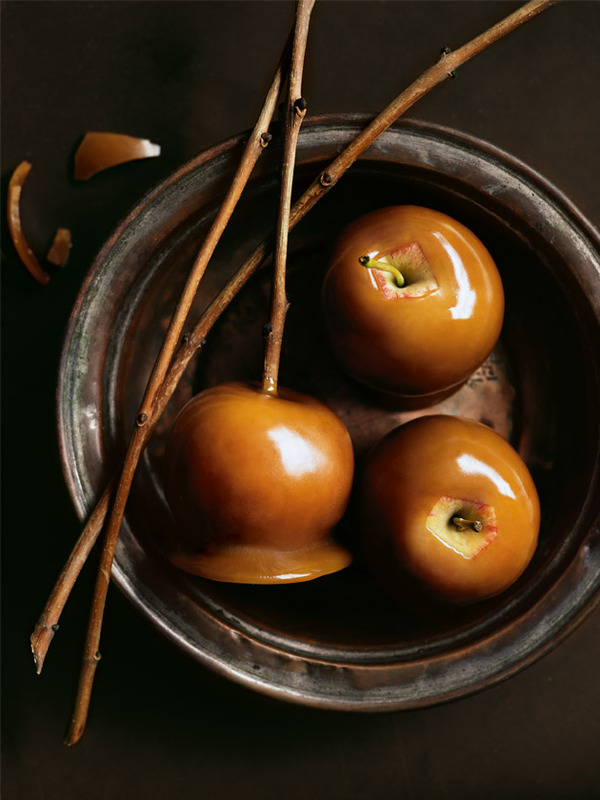 Dip the apples into the caramel and place on a baking tray lined with non-stick baking paper. Set aside for 30 minutes or until set. Makes 8.